Pixel Whisk: Dress up Your Cupcakes! 'Tis the holiday season! Which really means the season of sweets and homemade treats. I love a tasty cupcake, but when everyone and their mother is making them, how can you make yours stand out? 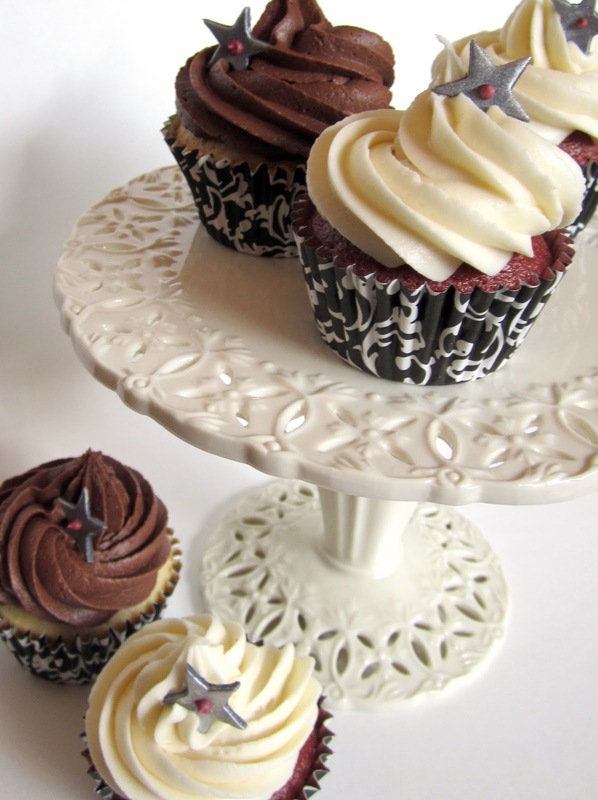 Here are 5 tips to make your simply delicious cupcake stand out among the rest. 1. Go beyond the basic flavors. 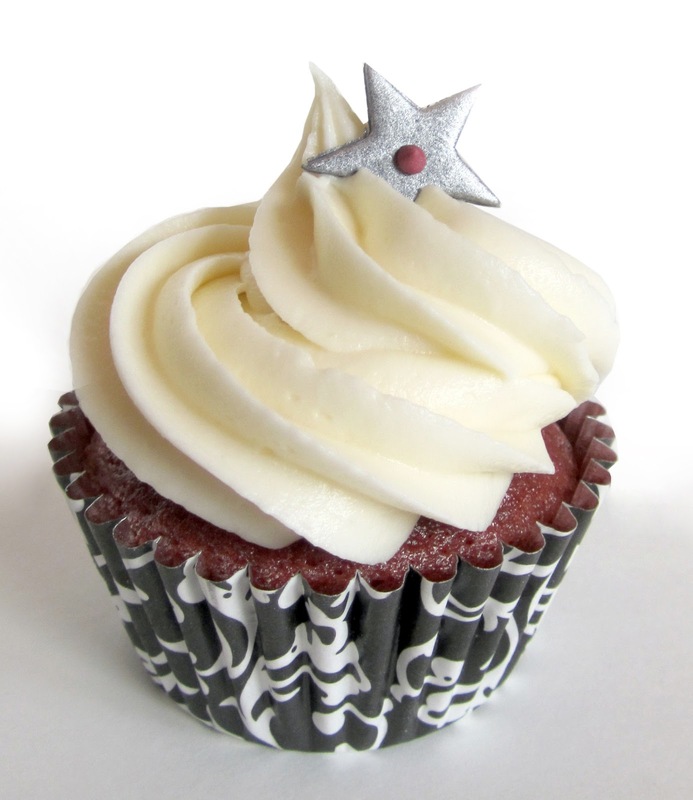 Try making a spiced gingerbread, peppermint, or even an egg nog inspired cupcake. 2. Upgrade your liners. Instead of using the ho-hum foil cupcake liners, try these new StayBrite Baking Cups! (I found them at my local grocery store). I loved the elegance of these black and white Victorian print liners, but there are several graphic prints to choose from! 3. Fancify your frosting. Use a piping tip and a disposable pastry bag to apply the frosting instead of a spatula. I used a #84 tip, which ads a nice ruffled look to the icing. It really amazes me how easily you can find these pastry products. Any craft store carries them these days. 4. Add some bling. With a star linzer cookie cutter and rolled out gumpaste, I cut out mini stars to garnish the cupcakes. Then, I brushed them with some edible silver dust to add a touch of holiday flair. 5. Show them off! Use a cake stand. I have quite an addiction to cake stands and would probably serve everything on them if I couldn't stop myself. If you are entertaining, displaying your sweets at different heights adds depth. So make sure you put those cupcakes up on that pedestal they deserve! I love baking cups and these are fantastic. Easy to clean, dishwasher safe, enough to do an entire batch at once, stackable for compact storage and reusable are all features worth purchasing this product. The colors are pretty and bold. 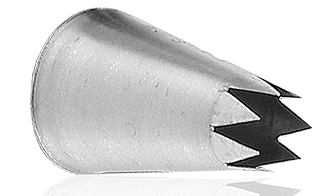 Also the quality is very good, they are not hard, yet the hold their shape perfectly. A great addition to anyone's kitchen who likes to bake.